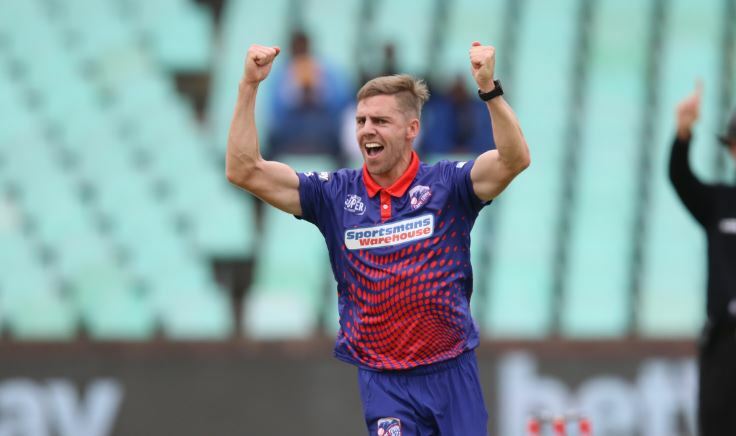 A veritable workhorse for the Warriors in untelevised first-class cricket, Nortje shot into the limelight via a successful stint with the Cape Town Blitz in the inaugural Mzansi Super League. He was especially impressive against the Durban Heat, removing Proteas cricketers Hashim Amla, Morne van Wyk, Temba Bavuma – and the talented Sarel Erwee – during a prolific spell at Kingsmead in Durban. Six days later, he shone again, this time against the Jozi Stars at the Wanderers. Opener Reeza Hendricks, captain Dane Vilas and burgeoning all-rounder Kagiso Rabada were his victims. Opening the bowling alongside fellow pace ace Dale Steyn, Nortje reached a watershed point in a career that started quietly four years prior. 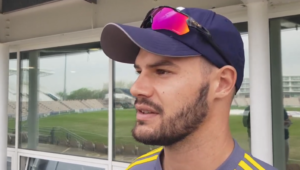 Taking wickets in front of big crowds, on live television, the right-arm fast bowler was effectively tipped for higher honours by Steyn and other reputable cricket personalities. A stint on the sidelines due to an ankle injury didn’t prevent the Kolkata Knight Riders from purchasing him for the 2019 Indian Premier League – and maiden Proteas inclusion has all but been confirmed. Cricket South Africa convener of selectors Linda Zondi has taken a couple opportunities, in particular, to ostensibly prime the public, pundits and critics for Nortje’s imminent arrival to the limited-overs squads. If not March’s five ODIs against Sri Lanka, the three T20Is versus the same opposition later that month will almost surely see the 25-year-old debut at international level. Until then, though, opportunity knocks for fellow fast bowler Lutho Sipamla to capitalise on the acclaim gathered during the MSL. Sipamla has been named in the squad for February’s T20Is against Pakistan – and Zondi wants the 20-year-old to help ‘bridge the gap between franchise and international cricket’. That’s a tough ask of a cricketer who only started playing the shortest forma professionally last year. Succeeding against batting orders lined with local talent and one or two international stars in an inaugural tournament is a significantly easier task than taking wickets and/or proving economical against a spirited Sri Lankan outfit in an established rivalry. While circumstance or scenario doesn’t allow for both to play for the Proteas at the same time this month or the next, then March might. They’re teammates at the Warriors, of course, and have shared the new ball on enough occasions to promote each other. This adversarial support at franchise level is outstanding – and is lined with plenty of future value for eventual international graduation.